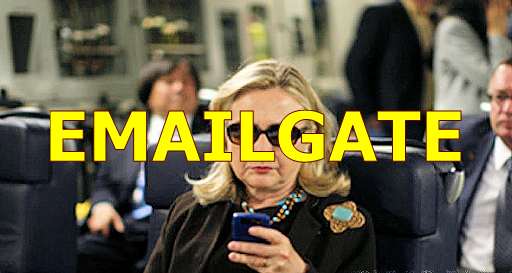 In March 2015, it became publicly known that Hillary Clinton, during her tenure as United States Secretary of State, had used her family’s private email server for official communications, rather than official State Department email accounts maintained on federal servers. So – Let’s talk a little bit about Clinton’s emailgate. Yes – she made some stupid mistakes. She used her own mail server. But obviously – nobody cared. Not her colleagues, not the FBI, not the CIA, not the NSA – nobody noticed emails with envelope information from a non governmental server. Weren’t they supposed to notice irregularities in the federal digital environments? Why didn’t they stop her? Didn’t they notice? Or maybe it wasn’t that important? So – she used private servers for official communications. Colin Powell did that too and so far nobody has raised an issue. And I know I have used my private email account for company business. Haven’t you? Did you send any confidential emails? I am pretty sure I have not. But .. if someone would dig through my emails, he would probably consider some stuff I sent to be confidential – from his perspective. As the FBI considers pretty much everything surrounding the federal government to be secret, it’s probably very easy to unknowingly disclose confidential stuff. ….. would probably be considered by the FBI to be the disclosure of at least three secrets: The Secretary has a cat and she meets the President for lunch and he likes fried chicken. However, given that the State Department’s email system has been penetrated by hackers linked to Russian intelligence, it’s far from clear whether any information would have been any more secure had Clinton used State’s unclassified email system. But she deleted several thousand emails. That’s a crime, is it not? In a court filing in September 2015, attorneys from the United States Department of Justice Civil Division wrote that Clinton had the right to delete personal emails, noting that under federal guidelines: “There is no question that former Secretary Clinton had authority to delete personal emails without agency supervision — she appropriately could have done so even if she were working on a government server. I am pretty sure Clinton did not discuss the codes for the nuclear armory via email. I am also quite sure that she didn’t disclose the GPS locations of a carrier group. That’s what we think when we hear “Confidential”.